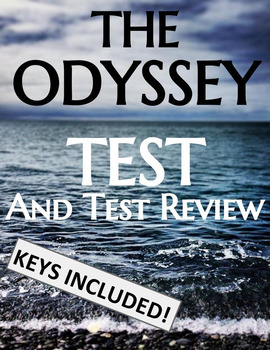 This package deal includes a 100-point, 10-page Odyssey Test and Key. 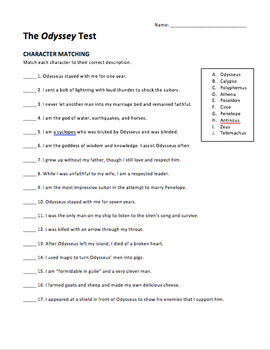 Test includes: matching multiple choice, literary devices (including examples from the text!) and short answer questions. 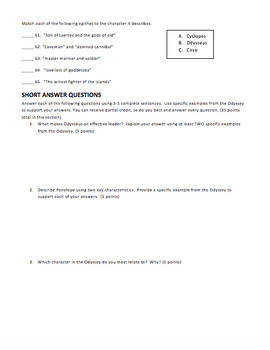 Also includes a list-style test review for students and a in-class review activity for the teacher.